Turkey’s Supreme Election Board (YSK), the election oversight agency, dismissed a call for annulling Sunday’s referendum to adopt a presidential system after opposition parties and international observers condemned the vote as neither free nor fair. Turkish President Recep Tayyip Erdogan, in his first interview since Sunday’s referendum to implement a presidential system in Turkey, protested those who noted his party won the vote by a slim margin, comparing the vote to a soccer game. 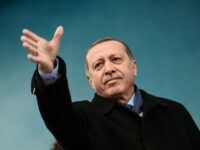 Islamists around the Arab world celebrated Turkish President Reccep Tayyip Erdogan’s victory Sunday in a referendum to change governing laws and give the head of state expanded powers. 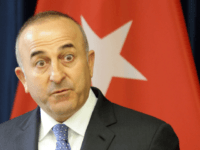 ANKARA, Turkey — Turkey’s referendum campaign was conducted on an “unlevel playing field” and the vote count itself was marred by late procedural changes that removed key safeguards, international observers said on Monday. 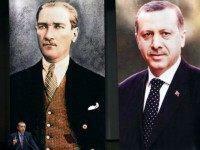 During an interview Monday, Turkish President Recep Tayyip Erdoğan argued that the founder of the Turkish Republic, Mustafa Kemal Atatürk, would vote “yes” in the upcoming referendum to expand Erdoğan’s presidential power by abolishing the Prime Minister’s office and replacing it with a vice president, among other reforms. A mob of supporters of President Recep Tayyip Erdogan attacked a women’s rally urging Turks to vote “no” in the upcoming constitutional referendum, which would greatly expand Erdogan’s powers as president should the “yes” vote win in April.